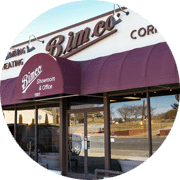 Bimco is more than just a warehouse or a plumbing supplier. 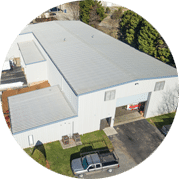 Our Winston-Salem location features a large showroom where we meet with clients by appointment to help improve the entire construction or remodeling process and ensure you get the products that you want for your bathroom. The bathroom may be a small amount of the total square footage of your home, but that small room is packed with fixtures that are important to your home’s overall design and value. Whether you’re looking to design a luxurious getaway with a freestanding air tub or you’re looking for fixtures that provide safety and comfort for the ability to age in place, you’ll find exactly what you’re looking for at Bimco Corporation. We carry fixtures that compliment the newest design trends, as well as keeping up to date on new technologies. Showers fitted with multiple massaging heads help bring a spa-like experience to your home, low threshold showers for improved safety or a claw foot tub for a retro look are all items very popular in today’s home. On the innovation side, you’ll find toilets that use less water than ever before to help you maintain an environmentally friendly home. We offer towel warmers, steam generators, ventilation and lighted makeup mirrors to bring added comfort and functionality to any bathroom. Bimco is proud to be a Toto Premier Showroom and the only authorized Toto distributor in both Winston-Salem and Greensboro. PeoplePlanetWater is Toto’s mark of excellence that represents TOTO’s superior accomplishments in engineering, technology, research & development, sustainability, and water conservation. Toto products are a wonderful addition to any home.